Valoya lights are available in different form factors and can therefore be used as both supplementary lights as well as a sole light source, without any natural light – such a variety of Valoya’s supreme light spectrum perfectly lends itself for growing vegetables indoors with LED lights. The key is to provide the correct light quality to the crop at a certain developmental stage in order to achieve the best growth results. Using its customer-based approach, Valoya has additionally developed LED vegetable grow lights with a continuous spectrum that optimizes growth of herbs and plants, producing strong and leafy greens, efficiently employing various wavelength combinations. These LED grow lights for herbs or plants have been designed with the aim of achieving the best possible results whether being utilized in a greenhouse environment or in a closed plant factory. To be more precise, Valoya’s AP673L spectrum is designed to enhance biomass formation by increasing the number of leaves and leaf area. In other words, Valoya’s LED grow light AP673L spectrum contributes to producing plants with strong, healthy roots and rich and well-colored leaves. Evidently, the above described LED grow lights spectrum is one of Valoya’s supreme products that can be used to cultivate edible leafy greens from seed to harvest. This spectrum is further recommendable for propagation of ornamental seedlings as such a spectrum provides an extremely balanced growth, with no stretching and with a high fresh weight production. Optimal light spectrum provides increased yields as well as energy savings. Valoya’s spectra enable superior growth at lower light intensities than traditional light or red/blue LEDs. Valoya can also improve your spectrum from traditional lamps in a so called hybrid installation i.e. a combination of HPS lamps and LEDs with the target to create a better spectrum. This can have a significant impact on quality especially during darker periods. LED lamps may contribute to significant energy savings when the installation is planned properly, spectrum is selected for a specific purpose and usage is optimized for the production process. Valoya’s AP673L and G1 spectrum are optimized for pure LED installations and hybrid installations respectively. 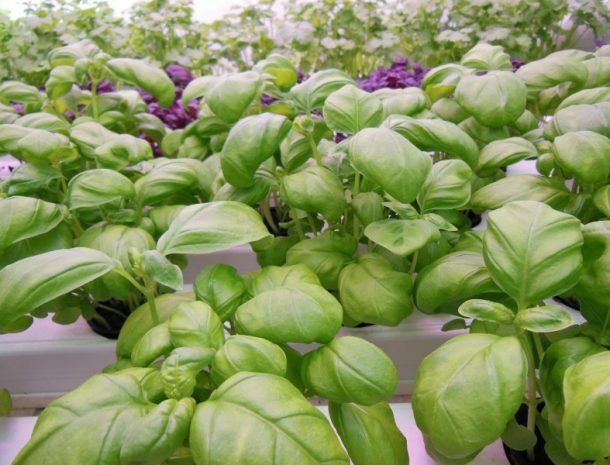 These spectra are superior to traditional HPS or narrow band LEDs in terms of plant texture, taste and color. Valoya’s products are designed to have a long use life, typically rated at 90% of initial output at 35000 hours. This is 40% more than competing Dutch products. In practice this translates to a use life typically more than 10 years with minimal impact on growth results. The long use life is a result of excellent thermal properties of the LED fixture and the high quality power units used by Valoya. Valoya is a provider of wide spectrum LED grow lights. Valoya’s patented wide spectra are designed to optimise growth for a variety of plants in various applications and thus offer the best possible light for plants in an energy efficient way. Copyright 2018 - Valoya Oy. All Rights Reserved.